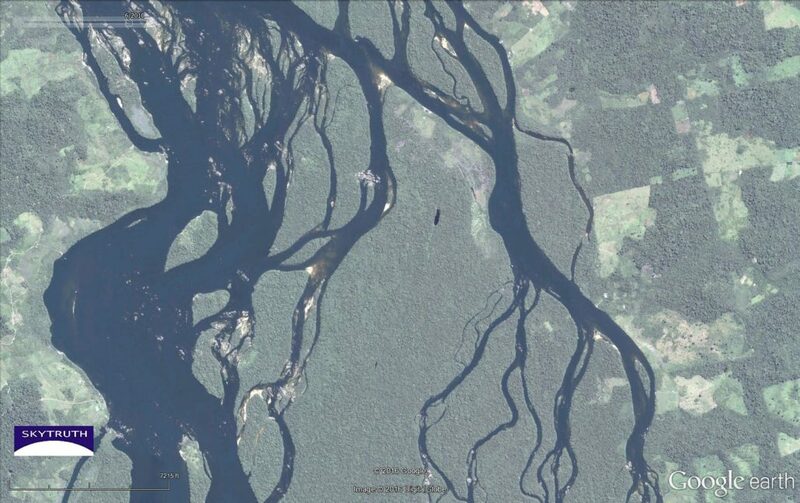 1988: Satellite imagery showing the Volta Grande region along the Xingu River in Brazil’s Para state. Tendrils of deforestation reveal settlement reaching out into the rainforest along the Trans-Amazonian Highway, built in 1972. 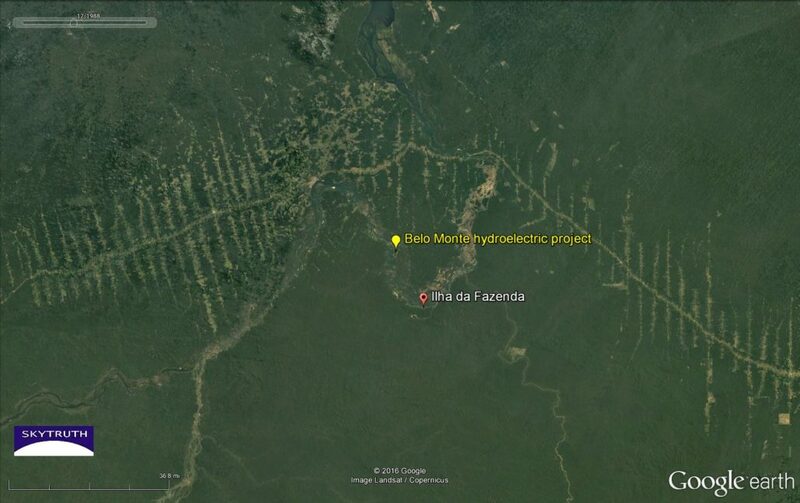 Site of the future Belo Monte hydroelectric project is marked for reference. 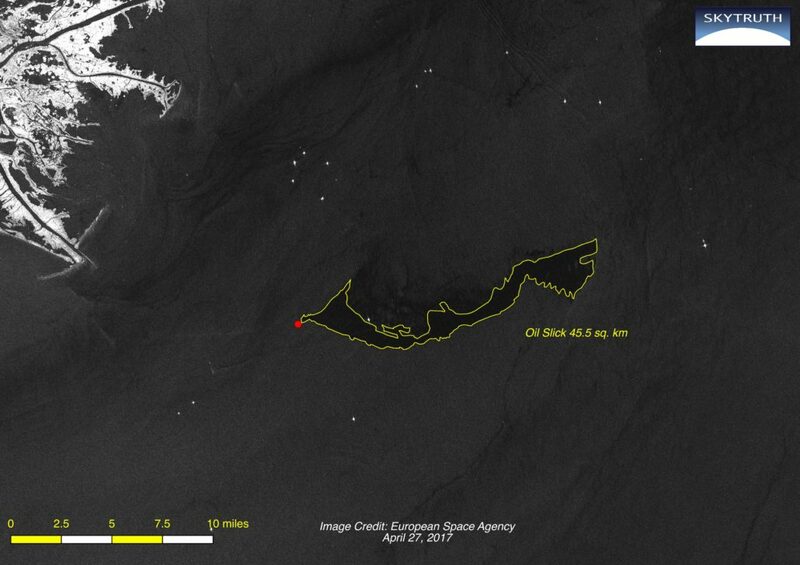 Compare with 2016 image below of the same area. 2016: The same area as shown above in 1988. Considerable deforestation has occurred in the 18-year interval. 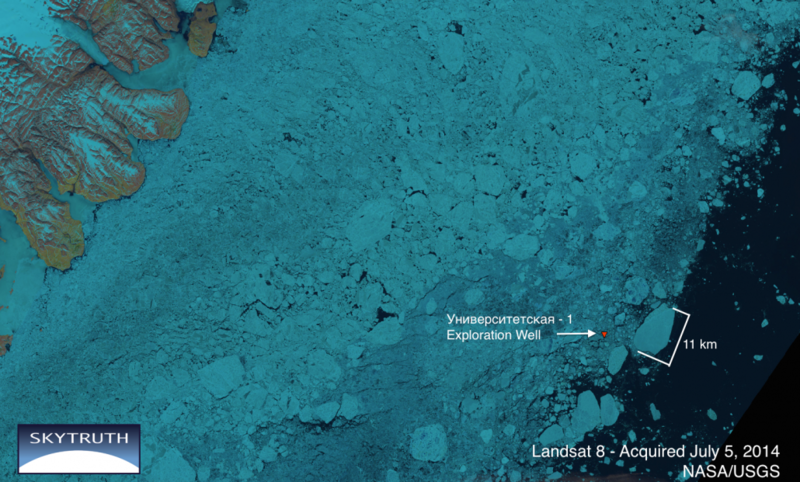 The mining operation is temporarily on hold, so there’s nothing yet to see. 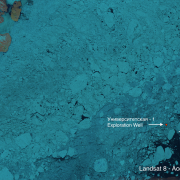 But Google Earth does have high-resolution satellite imagery showing the construction of the hydroelectric project that may be a key part of the business plan for this mining project. 2014: High-resolution panchromatic (black and white) satellite imagery of the Belo Monte hydroelectric project under construction on Brazil’s Xingu River. Project became operational in 2015. Compare with 2010 image below of the same area. 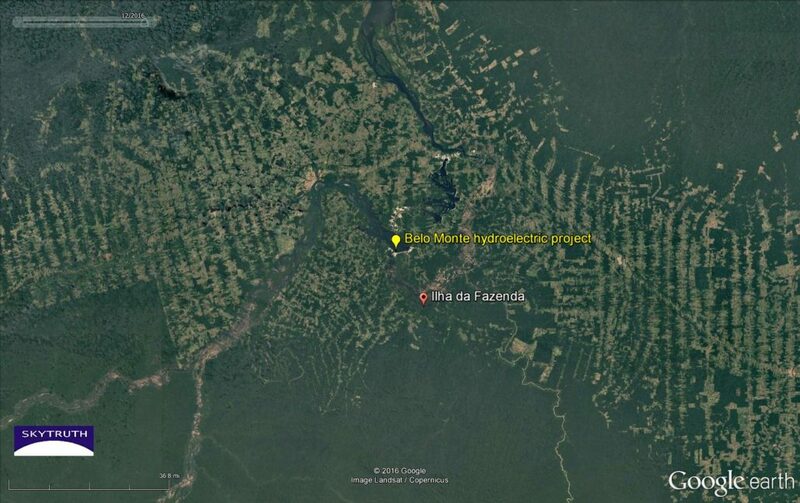 2010: High-resolution satellite imagery showing the site of the future Belo Monte hydroelectric project. Compare with 2016 image above of same area. 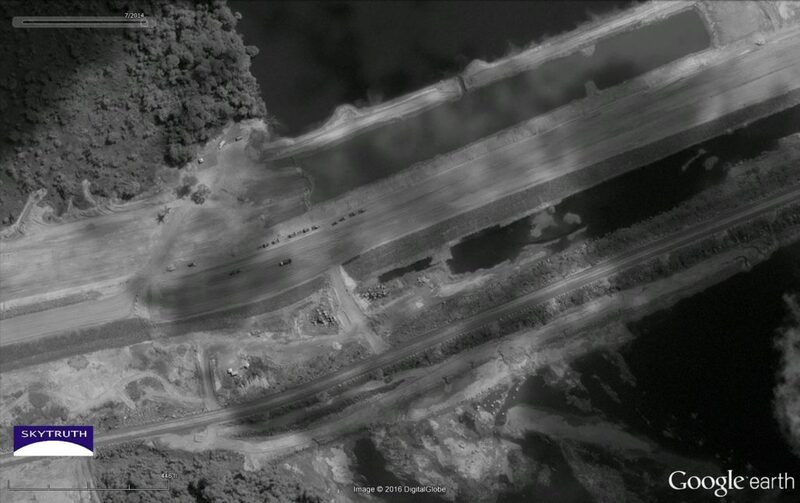 As we can see from the detail below, showing a line of trucks at work on the dam in 2014, this is a huge project. And the development sequence illustrated so clearly in this area shows that one big project begets another — from highway, to hydro, to mine. 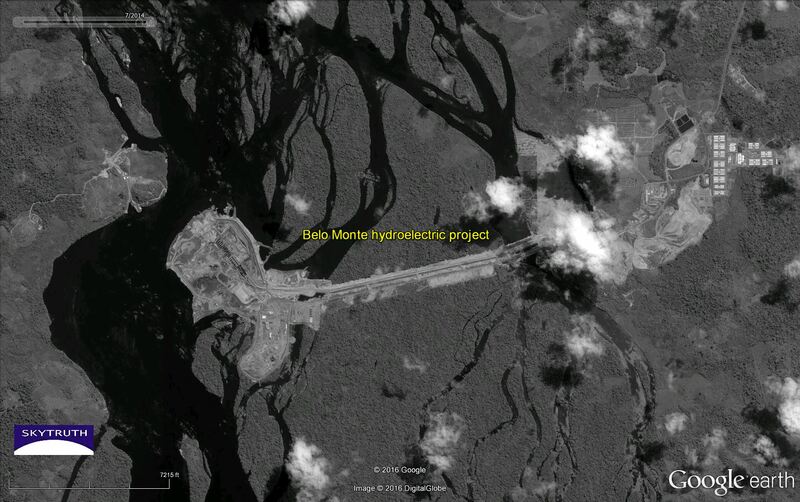 Detail from 2014 satellite imagery showing trucks at work on part of the Belo Monte hydroelectric project. The influx of people that results is inexorably transforming the Amazon rainforest.